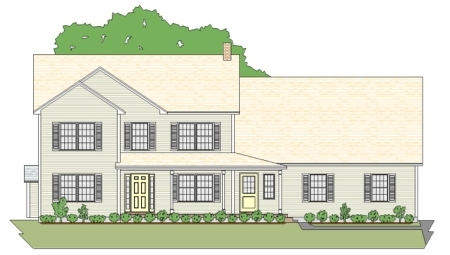 This 3 bedroom modern colonial home plan has a beautifully arched and covered entry leading to the large breezeway foyer.The spacious first floor has a country kitchen, a large living room, a formal dining room and a home office. 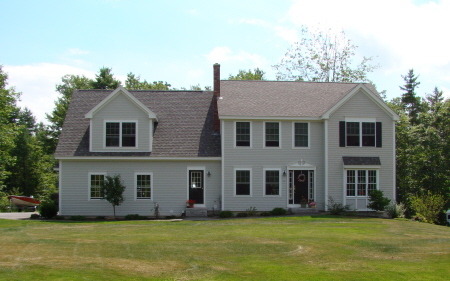 The second floor has large bedrooms, a wonderful master suite, a double duty bath for the kids, and a large laundry. The 2 car garage has a stairway to the full basement. This 3 bedroom modern colonial home plan has a front to back floor plan with an open kitchen dining area and a large living room downstairs. The upstairs has large kids room a great master suite, and a very large recreation room. The 2 car garage has easy access to the basement eliminating the need for a bulkhead. 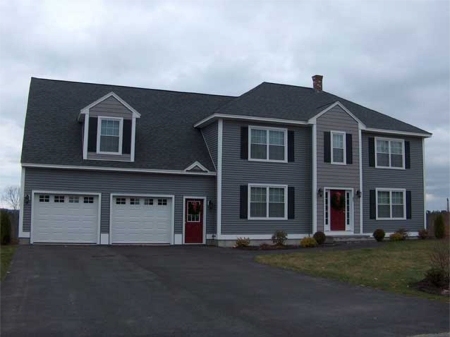 This hip roof 3 bedroom modern colonial home plan has great features. The first floor has an open concept living area, a formal dining room, and a home office. Upstairs is a beautiful great master suite, large kids rooms and double duty bathroom and laundry. The 3 car garage is has plenty of room for 3 cars, lots space left over for a storage area, and our popular cellar stairway . 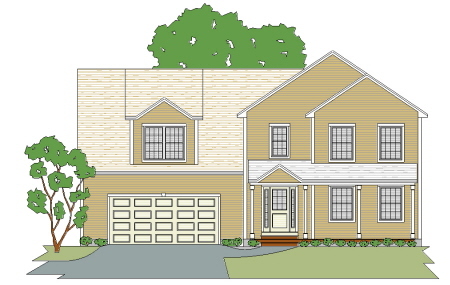 This 3 bedroom contemporary modern colonial home plan has many amenities. The first floor has an open concept living area, a kitchen breakfast bay and a formal dining room. The second floor has large comfortable rooms and a recreation room. The 2 car garage has stairway access to the full basement. 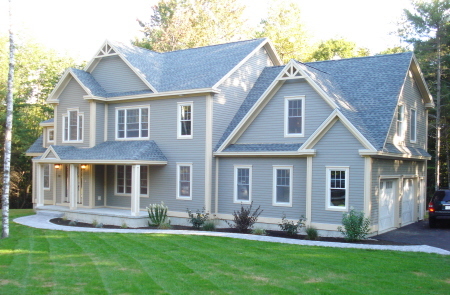 This beautiful modern colonial home plan has a lot of curb appeal. The first floor boasts a user friendly open concept living area and a front room home office, den, or formal dining room. The second floor has large kids rooms and a double duty bath for them to share, a great master suite, and a recreation room or man cave above the 2 car garage. The garage has an entry to the full basement eliminating the need for a bulkhead. 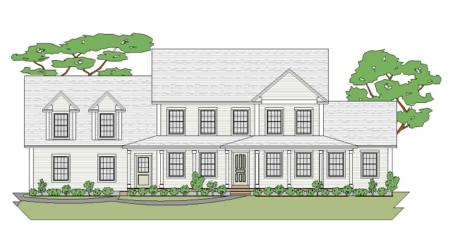 This 3 modern colonial home plan has a great open concept kitchen/family room, a formal dining room, and a good sized living room on the first floor. The second floor has two very comfortably sized kids rooms and a double duty bath for them to share, a master suite to dream about, a laundry, and a recreation room for the family to kick back and relax. As with most of our plans the 2 car garage has easy access to the full basement. 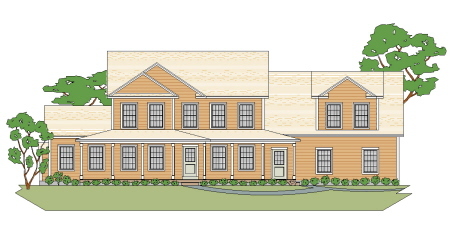 This hip roof 3 bedroom modern colonial home plan has great amenities. The semi-open concept kitchen,family, and living room complement the formal foyer. Also on the first floor is a large laundry and 1/2 bath. Upstairs the amenities continue with good sized kids bedrooms, a large double duty bath for them, a really nice master suite and a very large recreation room. The 26x28 2 car garage offers easy basement access. Falmouth - 2954 sq. ft. This beautiful modern colonial style 3 or 4 bedroom two story home plan has more than enough amenities for the couple looking for a finer home. The first floor boasts a nice entry foyer, a formal dining room, a den or guest room, an open concept living area with a kitchen that has a breakfast bump-out, and a living room with a fireplace. 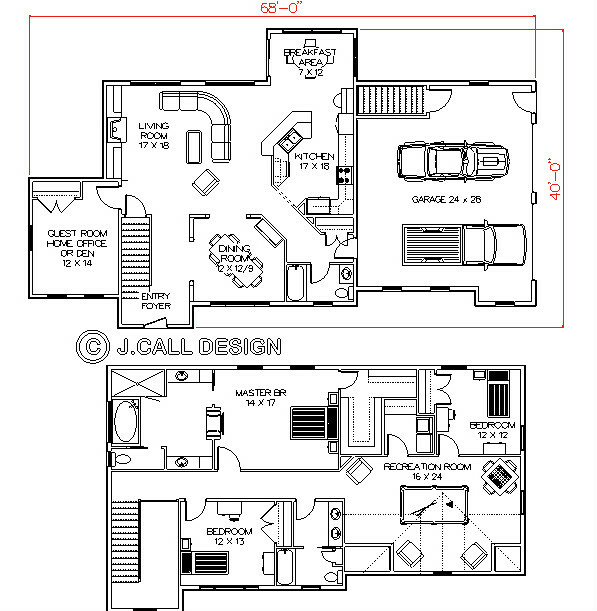 The second floor continues with a rec room and two kids\' rooms that share a double duty bathroom. The master suite rivals a high class motel suite with its 2 sided fireplace that sits between the bedroom and the bathroom.The large 2 car garage has easy access to the full basement. 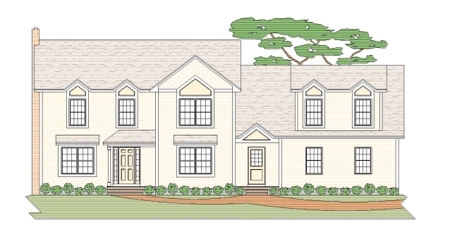 This 3 bedroom modern colonial home plan has almost too many amenities to mention. 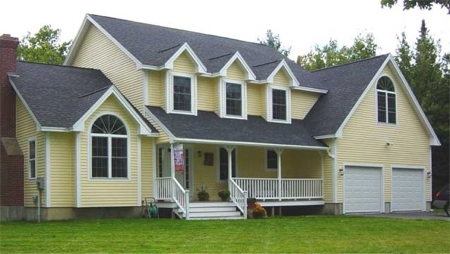 A beautiful wrap around porch, only adds to the curb appeal. The first floor shouts welcome with its semi open formal living room, the large kitchen with a breakfast bump-out, the formal dining room and the family room with a fireplace. The second floor, not to be outdone, boasts larger than average kids rooms, a master suite to die for, a large laundry and a beautiful recreation room. The two car garage has our popular cellar entry. 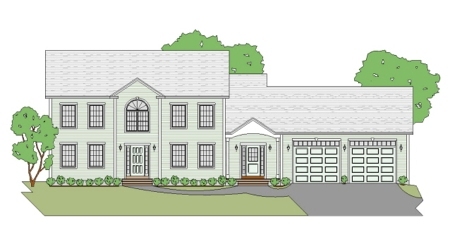 This 3 bedroom modern colonial home plan like its cousin above has amenities galore. The first floor shines with a formal living room, a kitchen with the breakfast bump-out, a family room with a tray ceiling and fireplace and a formal dining room. The second floor is no slouch either with large comfortable rooms everywhere and the recreation room to relax in. The comfortable 2 car garage has our trademark cellar entry.